Harris Search Associates has recruited Dr. Rachel Croson as the next Dean of the College of Social Science at Michigan State University. 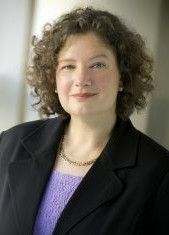 Harris Search Associates has recruited Dr. Rachel Croson as the next Dean of the College of Social Science at Michigan State University (MSU). Upon approval by the MSU Board of Trustees, her appointment will be effective August 1, 2016. Croson is the John and Judy Goolsby – Virginia and Paul Dorman Endowed Chair, professor of economics and dean of the College of Business at the University of Texas Arlington. Under her leadership, the college saw significant increases in peer-reviewed publications, citations of faculty research, press coverage of faculty research and philanthropic giving. Croson previously served as professor and director of the Negotiations Center at the University of Texas at Dallas and as associate professor at the Wharton School of the University of Pennsylvania. She also served two years as the National Science Foundation’s division director for Social and Economic Sciences. Croson’s own research has concentrated on experimental and behavioral economics, investigating how people make a variety of economic decisions. Her research is diverse, drawing on and contributing to multiple disciplines, and has been published in academic journals in economics, business, political science and sociology. Croson has held a number of professional leadership roles, including serving on the board of the Committee on the Status of Women in the Economics Profession, where she was pivotal in developing and running mentoring workshops for female junior faculty. The College of Social Science at MSU is a community of scholars committed to creating, disseminating and applying knowledge in the social, behavioral and economic sciences.